The Hyundai-sourced turbodiesel hides underneath a panel below the second-row seat. Need to journey into the wilderness but don't like the usual Jeep Wranglers, Toyota Land Cruisers, or similarly well-established off-roaders, then Russia's Technoimpluse might have what you need. 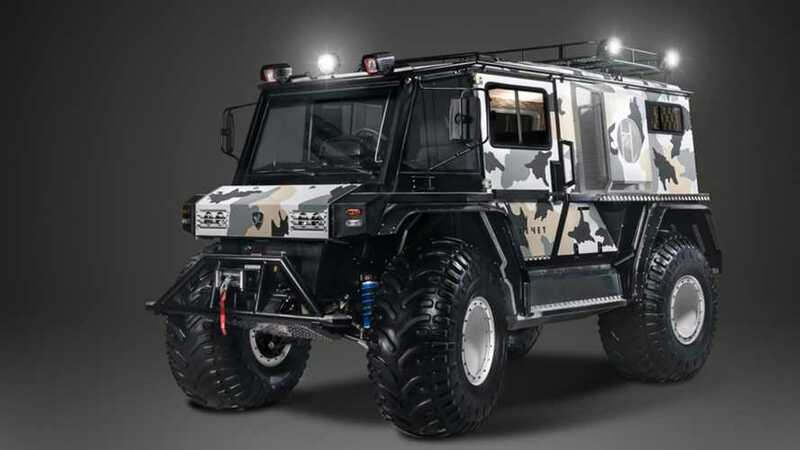 The company's Rocket Z 210-91 is a mid-engined SUV that can seat as many as nine people, and it's ready to go anywhere. Prices start at 5.6 million rubles ($84,784 at current exchange rates). The boxy SUV uses a Hyundai-sourced 2.5-liter four-cylinder turbodiesel available with either 82 horsepower (61 kilowatts) and 145 pound-feet (196 Newton-meters) or 99 hp (74 kW) and 170 lb-ft (230 Nm). Regardless of tune, the mill hooks up to a five-speed manual. Two 26.42-gallon (100-liter) fuel tanks should allow for plenty of range. When dealing with harsh terrain, there's a full-time four-wheel-drive system, locking differentials, and a two-speed transfer case to engage lower ratio gearing. Power steering makes driving a little easier, too. Flat tires aren't a huge concern, either, because there's an onboard inflation system. The boxy Rocket Z 210-91 is all about performing off-road. The ultra-short overhangs allow for 52-degree approach and departure angles, and there are 23.62 inches (600 millimeters) of ground clearance. Not counting the mirrors, the SUV is 98.03 inches (2.49 meters) wide, and it's 192.5 inches (4.89 meters) long. Inside, there's a rather odd seating layout. The driver seat is the only permanent chair up front, but there is a deployable jumpseat in case the pilot needs some company. The next row is a simple bench seat, and it folds out of the way for access to the hatch that conceals the engine. A pair of wall-mounted seats are at the very back, and they can tilt down to make the entire rear into a sleeping area. Technoimpluse seems to have military aspirations for the Rocket Z 210-91 because the company's website says the machine is well-suited for border patrols and the protection of natural resources. If this model isn't big enough, the automaker also offers the even larger Rocket Z 310-91 with a 6x6 layout.